NICOSIA – Owning and purchasing property is about to become cheaper in Cyprus, but not for businesses. 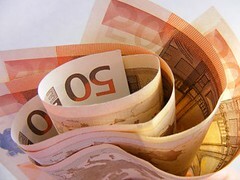 On May 1st the government of Cyprus announced that it is slashing the taxes on property held or bought in country. The rate of the Immovable Property Tax (IPT) will be slashed to 0.05 percent of the value of the property, from the current rate of 0.1 percent. The IPT levied by local governments will be abolished, though the loss in revenues to be seen by the local authorities will be compensated by the central government. The basis for calculating the IPT to be paid will also change, with the tax to be calculated from the value of properties compiled in 2013, as previously the tax was based on properties as valued in the 1980s. NICOSIA – The government of Cyprus is adjusting the tax treatment of property in order to ease obligations for some taxpayers, while reducing administrative costs for the government, and raising the amount of tax revenues collected. At a meeting held in Troodos on August 20th the Cabinet of Ministers of Cyprus agreed to amend the country’s Immovable Property Tax (IPT) by excluding low-value properties from the system, and updating the property values at which the tax is levied. Currently all immovable property in Cyprus is taxed under the IPT system, with the rate starting from 0.006% on properties valued at less than EUR 40 000, and rising to 0.019 percent on property valued at more than EUR 3 million. NICOSSIA – Cyprus intends to boost liquidity of the national financial system via a tax amnesty encouraging taxpayers to bring back any funds hidden overseas. On July 18th the spokesperson for the government of Cyprus Christos Stylianides announced that new legislation is currently being drafted to introduce a tax amnesty on the repatriation of any assets and funds hidden abroad by national taxpayers. The full details of the proposed amnesty are expected to be tabled in front of the House of Representatives within the next two weeks, and, if approved, would come into effect immediately. NICOSIA – Cyprus, which currently has one of the lowest corporate tax rates in Europe, is taking the significant step of hiking corporate taxes by a quarter. On April 18th the parliament of Cyprus passed several bills amending the country’s tax legislation, as part of the government’s efforts to secure the international loans needed to stave of a financial crisis in the country. Amongst the changes which were made by the Parliament, was the approval of a hike to the country’s corporate tax rate from 10 percent to 12.5 percent, a move which is expected to raise approximately EUR 600 million in extra tax revenues per annum. The parliament also approved a 0.04 percent increase to the levy on transactions involving credit institutions. NICOSIA – The clients of banks in Cyprus will soon have access to their funds again, although a new regime of tight capital controls will be enacted to ensure that the money does not flow overseas, further worsening the already beleaguered nation. Banks in Cyprus will officially be allowed to open their doors once again at midday on March 28th, after a mandatory two week closure, but the financial institutions will be required to enforce strict controls on withdrawals and the use of money in order to prevent a cash run-out and to stop the funneling of deposits to overseas financial institutions. From the time of opening, clients of local banks will not be able to withdraw more than EUR 300 cash per day, and cheques will no longer be cashed and can only be deposited.